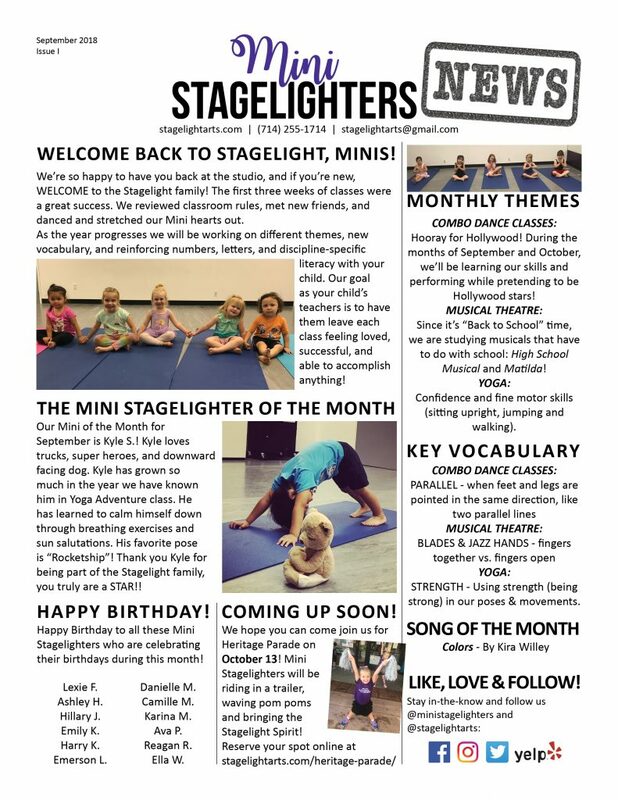 There are great things happening in our classes at Stagelight Performing Arts for all our Mini Stagelighters (ages 2-6)! See this month’s newsletter for vocabulary, skills, birthdays, and more! 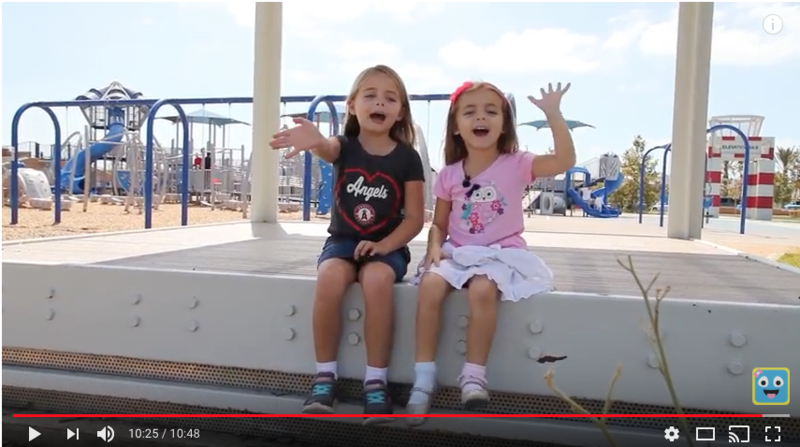 Stagelight Performing Arts (SPA): Malvina and Milania, tell me a little about your YouTube channels. Malvina: We basically call our channels “Malvina Reviews” and “Milania Reviews.” The first time I wanted to do a YouTube was when I wanted to review a Shopkins. SPA: Shopkins was your first review? How did you already know about reviews or what they were? Malvina: When I was little, I used to watch channels of kids reviewing [toys]. So my dad got an idea. He said, “Let’s create a new channel.” Later on, my sister wanted to create her own channel since I had a channel. Mila: My first one was a big park review. It was a blue park, and it was really tall. Malvina: It’s basically a space ship park. SPA: So, does Malvina only review toys and Mila only review parks? Malvina: Not all the time. We both review parks and toys. SPA: Who comes up with the ideas? Who decides what you’re going to review? Mila: Both of us. Sometimes I come up with stuff, and sometimes Malvi comes up with stuff. Malvina: Like, whenever we get a toy for Christmas, we won’t open it up. We want to put it on YouTube and review it. SPA: That’s a lot of self-control! That’s amazing. What is your favorite part about having a YouTube channel? Malvina: Well, my favorite part about having a YouTube channel is sharing the things I do on it and telling about it. It’s just great that I can actually express myself to everybosy on YouTube that would watch. Mila: Because you just get to review stuff you like, review toys and go to parks to review. Malvina: It’s pretty much just a fun thing, because if we go to a park and review it, it’s fun because we get to enjoy the fun after it. SPA: How do you feel about yourself after you’re all done filming and you see yourself in your episode? Malvina: I feel proud that I have been speaking the whole time, and messed up just a few times. Mila: I feel like I did a great job, and I just want to do it again. SPA: What episode has been your favorite ever to do? Malvina: I don’t have a favorite episode, but there is an episode that we may do… it’s a chocolate egg surprise, and I think it’ll be my number one favorite that I’ve reviewed in my life. SPA: What do you want to be when you grow up? Malvina: I want to be a veterinarian because I want to visit animals and see the cats. It’s Our Birthday Gift to You! Today is our fourth birthday! The past four years have brought so many faces through our doors, and we are finally ready to expand through new doors! This new space, located diagonally from the Walmart in Brea (in the industrial area), will be complete with FIVE STUDIOS, generous common area spaces, a dressing room, and more…! So many details will be heading your way, but we are planning on opening those doors in early 2018! So stay tuned! Make sure you subscribe to our email list and follow us on Instagram and Facebook to get all the news.